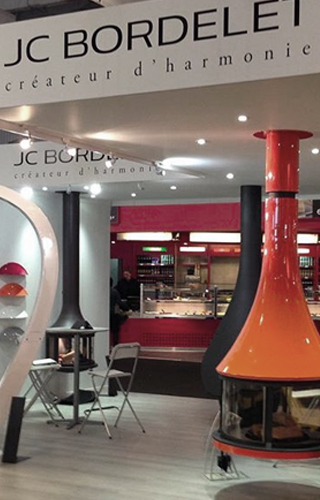 The hood is the starting point in the design of every JC Bordelet fireplace. Our expertise in sheet metalsmithing and metal working mean we can dream up amazing shapes. We might even call ourselves ‘metal potters’ as we use similar techniques but with a hard metal: steel. There is no limit to the metal shapes we can achieve, and the Alexia 995’s hood proves this. Jean Claude Bordelet imagined a bottle shape in his drawing, which could have been a Languedoc bottle as the workshops were located close to the vineyards. 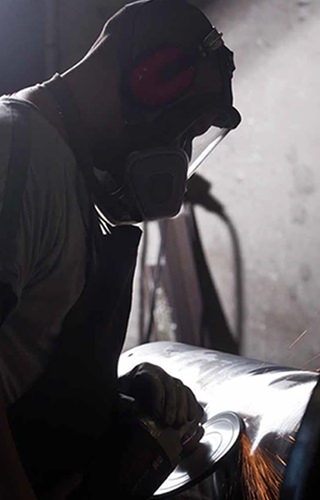 This hood demands precise work on thick steel from our sheet metalsmiths. Once the shape has been created, the considerable manual sanding work begins in order to eventually achieve a flawless finish. 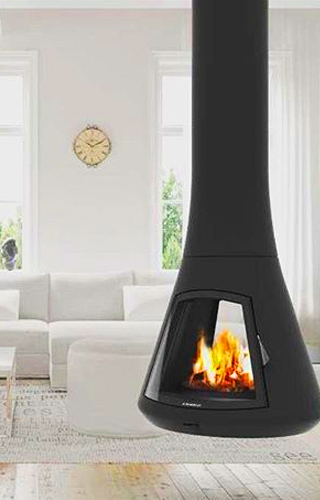 This fireplace’s aesthetic balance is created by the XXL base it proudly sits atop. 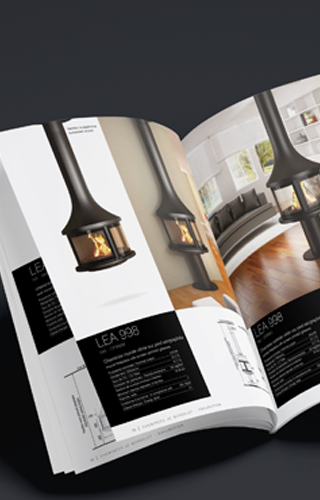 Like most JC Bordelet fireplaces, it is suspended from the ceiling following a personalised assessment by our design team. Enjoy a generous view of the flames, great heating performance and an original fireplace with a unique style and design in your home.